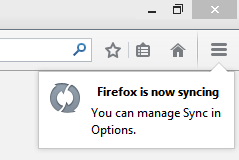 Firefox 29, the latest version of the browser in town is having many new features including Sync. 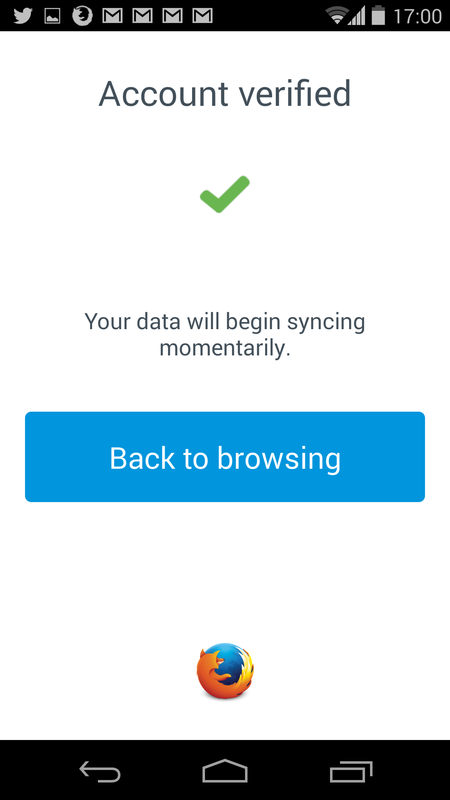 Like Google Chrome, you can now sync Firefox data like bookmarks, passwords, open tab information, browsed history with multiple devices like desktop, Android and tablets. 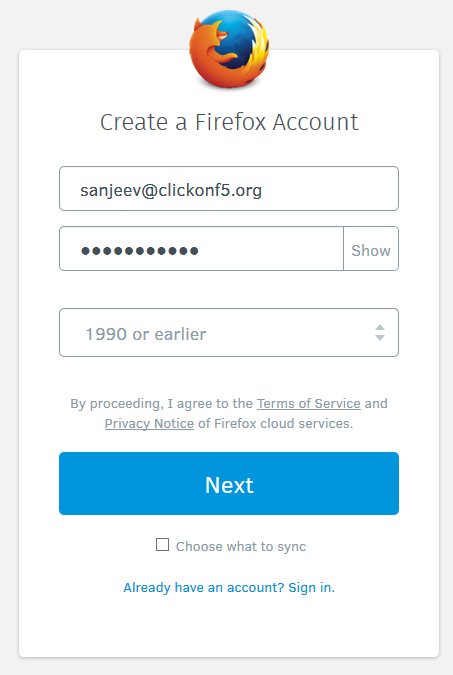 The new customizable menu of Firefox is having an option as ‘Sign in to Sync’ where one can create a new Firefox account or sign in with existing one. Once signed in, the browser will sync your data on this new computer and you can easily browse or access your favourite sites in no time. 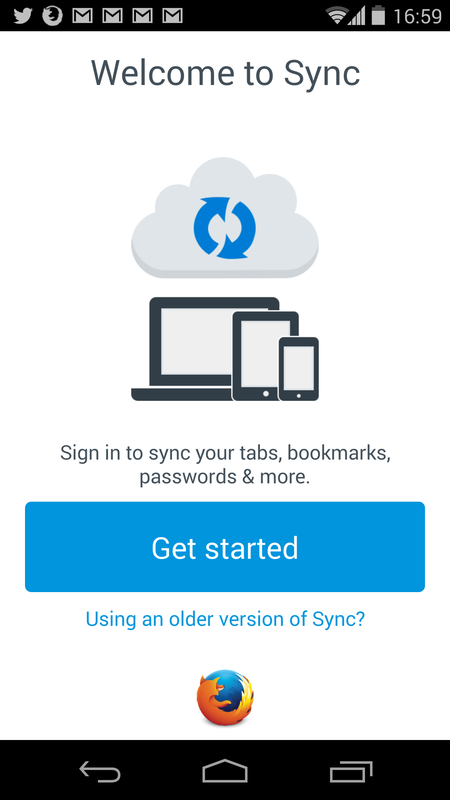 Here is the step by step guide on how to use Firefox Sync on multiple devices. Go to the top-right corner in Firefox 29 browser and click on the Menu button. A new small window will slide down with some really good looking icons. 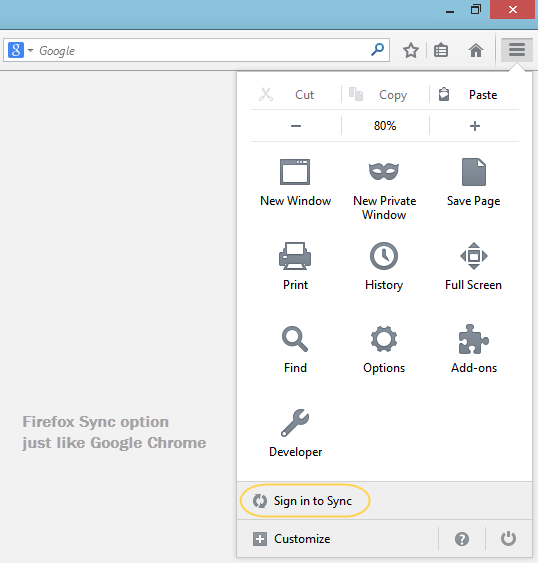 If you are using the Sync option for the first time, click on ‘Get Started’. 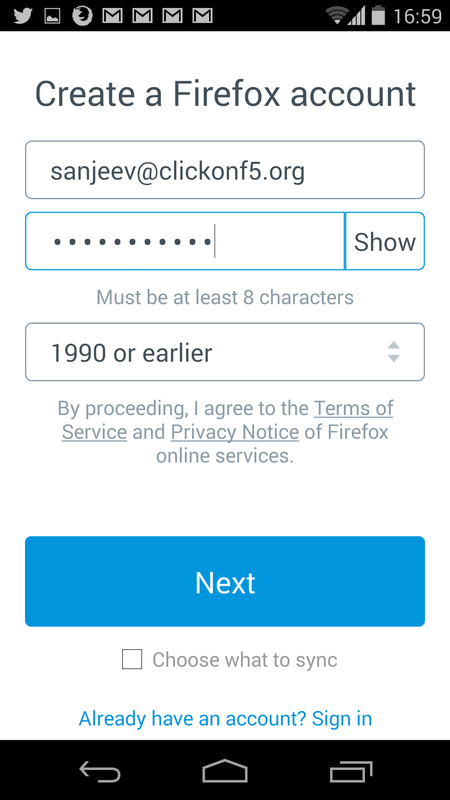 Now enter your email address, password and year of birth. 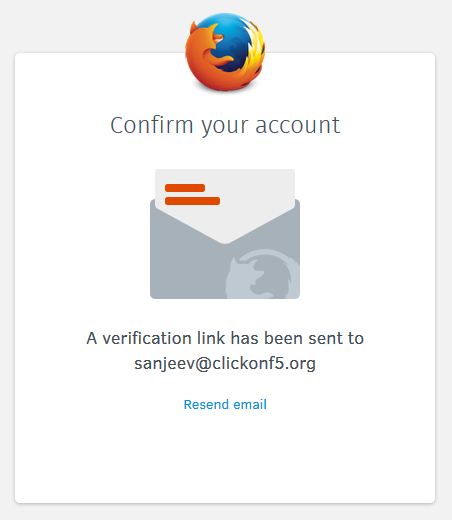 Firefox will send a verification email to your account, click on the verify button in that email to verify the newly created account. 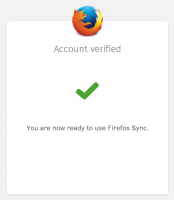 Once verified, Firefox will start the sync process on your desktop computer. All your existing bookmarks, passwords, opened tabs and history will be synced with that Firefox account. 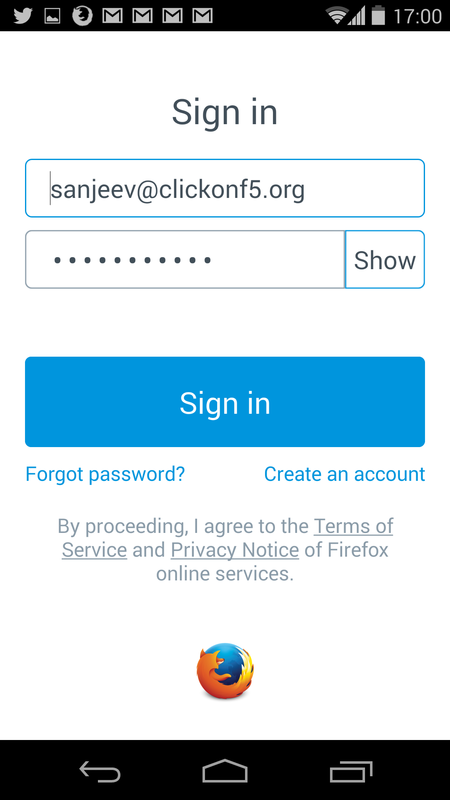 I just installed Firefox on my Nexus 5 Android phone for the first time. 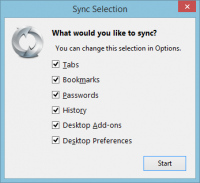 The Sync option is available under menu/setting/sync. 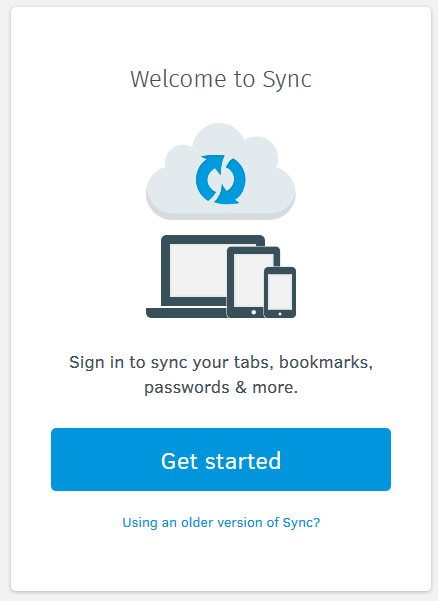 Login using the same Sync account (if the login option is not appearing, click on Getting Started and use the same details as used on desktop). 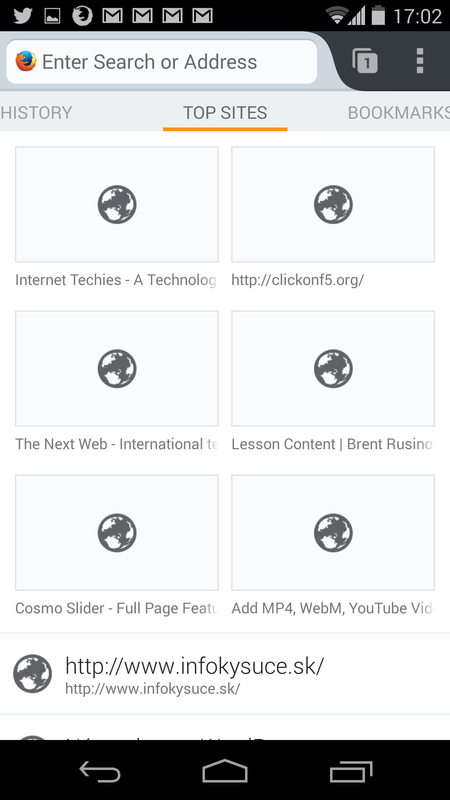 The browser will start syncing and in just few seconds, you will see the history, top sites, bookmarks synced with the account and everything from desktop Firefox appearing on your mobile Firefox. This new Sync feature is really smooth and easy to implement. 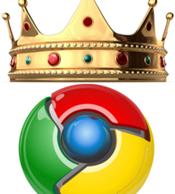 Thanks to Google Chrome for introducing the same at first and now everybody is following that path.